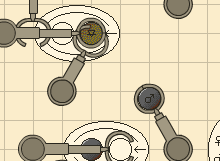 Master the intricate, physical machinery of the transmutation engine— the alchemical engineer’s most advanced tool— and use it to create vital remedies, precious gemstones, deadly weapons, and more. TIS-100 is an open-ended programming game in which you rewrite corrupted code segments to repair the TIS-100 and unlock its secrets. 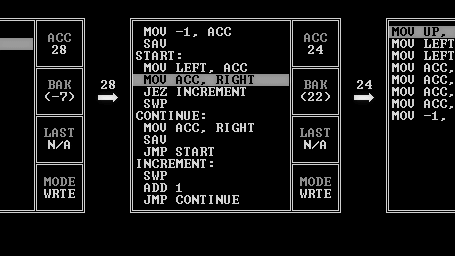 It’s the assembly language programming game you never asked for! 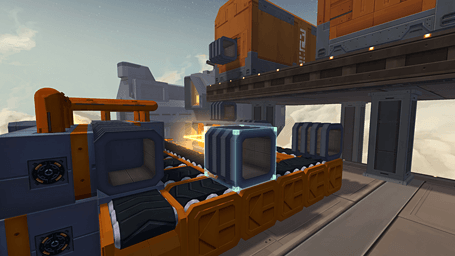 Infinifactory is a sandbox puzzle game. Build factories that assemble products for your alien overlords, and try not to die in the process. 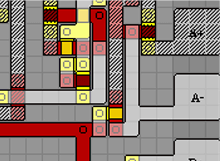 Prior to SpaceChem, Zachtronics released several freeware games, including The Codex of Alchemical Engineering, the predecessor to SpaceChem, and Infiniminer, the game that started the "block game" genre. 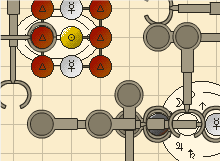 The Codex of Alchemical Engineering is a puzzle game about alchemy, and is the precursor to SpaceChem. 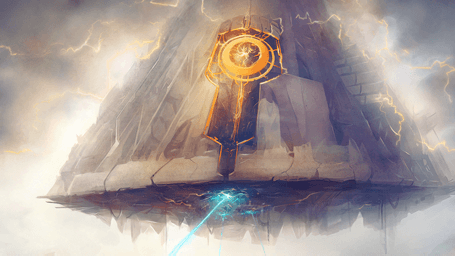 The Magnum Opus Challenge is a mind-bending expansion to The Codex of Alchemical Engineering. Ruckingenur II is a game about "rock and roll" reverse engineering of electrical circuits, with low-budget, live-action video. 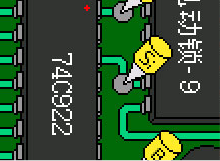 KOHCTPYKTOP: Engineer of the People is a Soviet-themed puzzle game about designing integrated circuits. 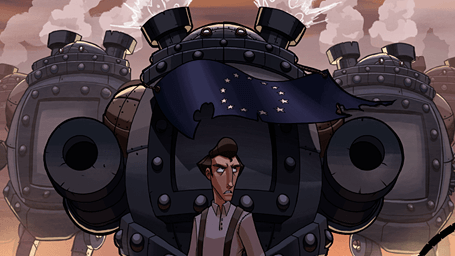 The Bureau of Steam Engineering is an engineering puzzle game about steam-powered robots in the American Civil War. 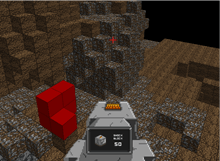 Infiniminer, is a procedurally generated, first-person mining game. The original block game! 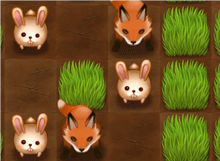 We've also developed a few educational games focusing on STEM topics, including mathematics and biology. They are available for iOS and Android tablets as part of the Amplify Curriculum. 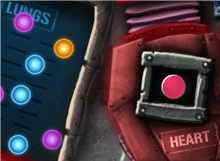 MetaboSIM is a kinetic puzzle game about metabolisms, developed for the Amplify Curriculum. HabiTactics is a match-3 game about ecosystems and trophic levels, developed for the Amplify Curriculum. 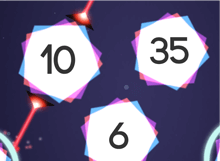 FAKTR is an arcade-style action game about prime factorization, developed for the Amplify Curriculum. 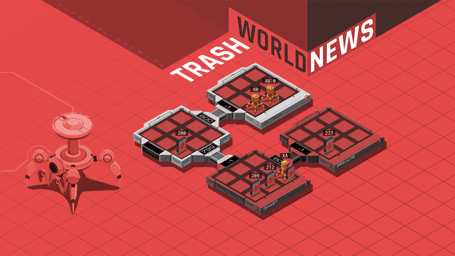 Sign up for the Zachtronics newsletter to stay up to date with the latest news about upcoming and released games. 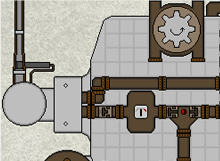 Zachtronics is the game development division of Alliance Media Holdings. 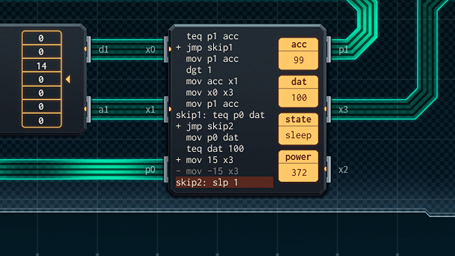 In the pursuit of clandestine R&D objectives, Zachtronics releases games from time to time, with information here. Enjoy! On the Zachtronics podcast we go behind the scenes of how indie games are made and interview other game developers. 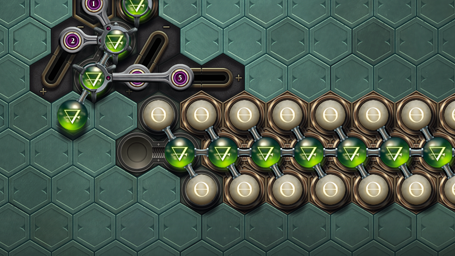 Send us a message if you have any questions, comments, or requests related to Zachtronics games.